I have always loved looking at bloggers Me and Mine posts and thought it was a lovely idea. I just kept putting off doing it because I hate being in photographs but I thought it is the perfect time to start right now. We have a fresh start this year and have so many exciting things planned and it will be really nice to have a monthly family photo to look back on at the end of the year where we can reminisce and remember what we were doing in each picture. This month has been quite up and down. The kids have gone back to school after a lovely few weeks together over Christmas and Sam is working long hours at work so that we have some extra money when we move house very soon! On the plus side the house hunting is going extremely well so far and we are sure we will find the perfect house soon. Sam now has weekends off work which has meant we get more family time. We had a sleepover at the in-laws with all 4 kids earlier in the month. Took the kids to see the new Star Wars movie, where they all dressed up as their favourite characters. Me and Sam managed to get out without the kids too to go and watch Hollywood Undead. We love going to gigs together and it was a great first gig for 2018. 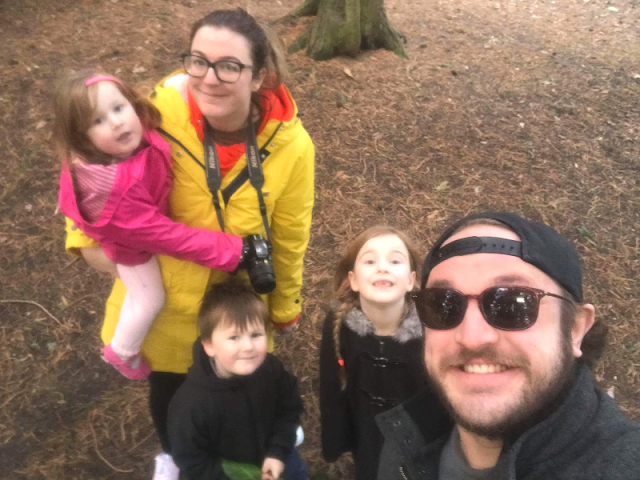 We haven't got outdoors much this year besides school runs with all the ice and snow but this weekend we popped out to Coombe Abbey Country Park where we climbed trees, yes the grown ups did too! We played in the park and made a den. 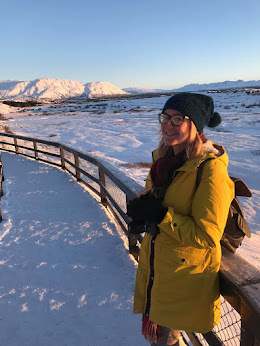 It was lovely to get out and it has made me really excited for more outdoor adventures this year. January has been a good start and I am looking forward to seeing what February has to offer. House hunting is so fun yet stressful. It is so worth it when you find 'The one' though! Thank you! It was a great start. Hoping it is a sign of the year to come! Thank you! It is such a lovely project, I have followed for years and am glad I have taken the plunge! It sounds like you’ve had a good January all in all. The little ones much have looked so cute dressed up for the cinema. I’m wishing for the nicer weather too so we can get outdoors more! Good luck with the house hunting. Thank you they did look adorable! Fingers crossed spring arrives soon! Hopefully everyone will be less busy soon! Good luck with the house hunting. I hope so! Thank you! Love your coat. I really need to start taking more photos of the 3 of us as we hardly have any. That is why I have done this. There are so many pictures of the kids but not with me! Glad to hear that the house hunting is going well so far and hope you find the perfect house soon. 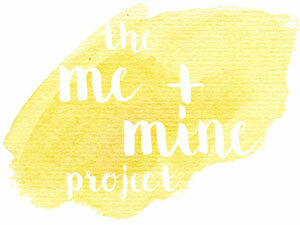 It is lovely to have a family photo each month to look back on - it's why I love joining in with the #meandmineproject. Thank you. I can't wait to be able to look back at a lovely collection of photos! Good for you! Hope you can get yourself sorted soon. It will be worth it!